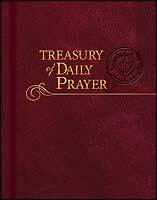 Every morning I begin with Treasury of Daily Prayer. Then Book of Concord follows and then Greek New Testament. Treasury is one of the greatest book I have ever read. It is done with love to God’s Word and His people – the Lutheran Church. When Angela is in my study that early in the morning, I translate readings for her. Often I simply read appointed texts for the Treasury from the Ukrainian Bible, especially when children join us. The difference in 1 week between Easter in the East and in the West this year and in 13 days (in the Julian and Gregorian Calendars in general) causes only a little inconvenience. For even though we have different calendars and different liturgies (we use St. John Chrysostom ‘revised’ liturgy), theology is the same, faith is the same, and Christian minds want to read and hear and exercise the same things as our bothers in the Western part of the Church do. Coming back to Treasury, my wonderful and miraculous table book – to make it more practical, I took a pencil, sharpened it and slighltly wrote Julian Calendar dates over pages with fixed dates in the Treasury. Treasury is already a dream book for those of my colleagues in the Ukrainian Lutheran Church that read and speak English. Bishop Horpynchuk keeps an active blog at УКРАЇНСЬКЕ ЛЮТЕРАНСТВО (Ukrainian Lutheranism). 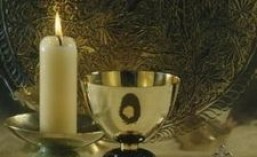 This entry was posted in Treasury of Daily Prayer and tagged Church Year, Easter, prayer, Treasury of Daily Prayer. Bookmark the permalink. ← TDP Recording moves forward: Name That Tune!